Even as a kid I could barely resist displays of blank books! Most of the ones I bought remained blank because I didn’t want to mess them up. 😉 Silly, I know. I never kept a diary, so using my beautiful books as writing journals didn’t occur to me. For some reason I thought all those pages deserved sketches or illustrations, but I never had enough self-confidence to try. As I was cleaning up a space in my studio, I found several lovely new empty journals patiently waiting in a stack. Three of them are filled with dot grid paper for bullet journaling. It’s an easy journaling style that appeals to many people and I may try it some time, but I actually bought these for note taking and class ideas. In the video, I show you 5 of my favorites. 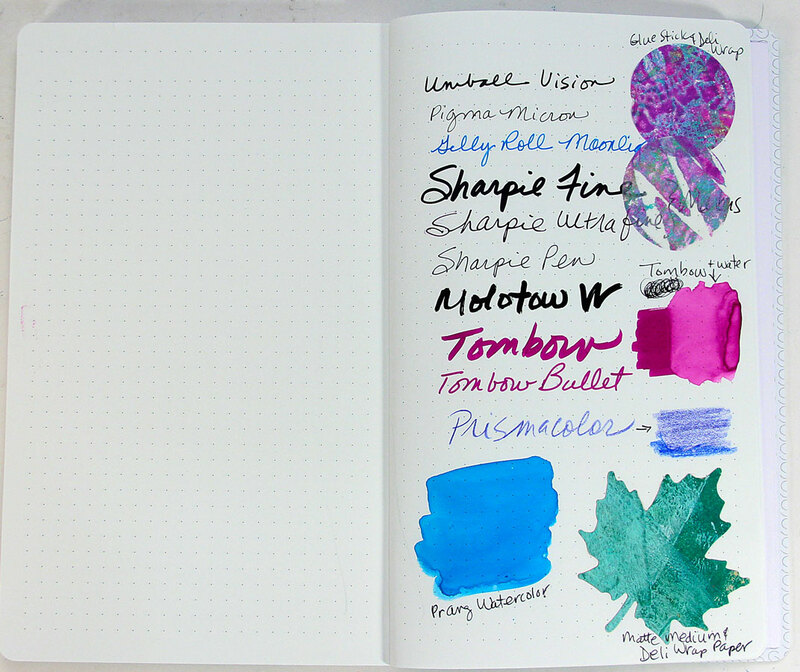 I chose a test page in each one where you can see examples of pens, markers, watercolor paint and collage. Check out the photos below to see 2 of the test pages (and also the video) to see how the paper reacted. 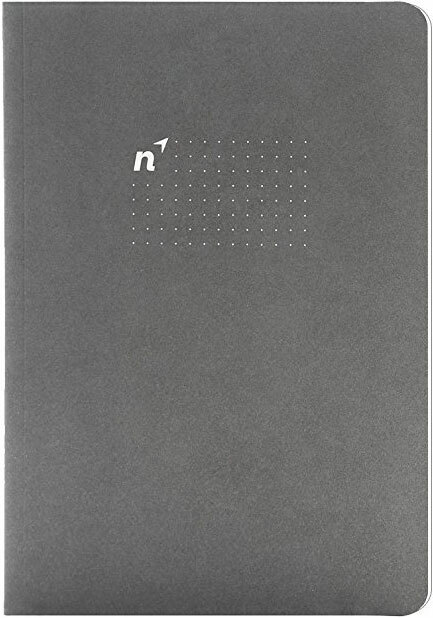 The NorthBooks Dot Bullet Journal, made in the USA, has a soft gray suede-like cover with 144 all post-consumer recycled paper. 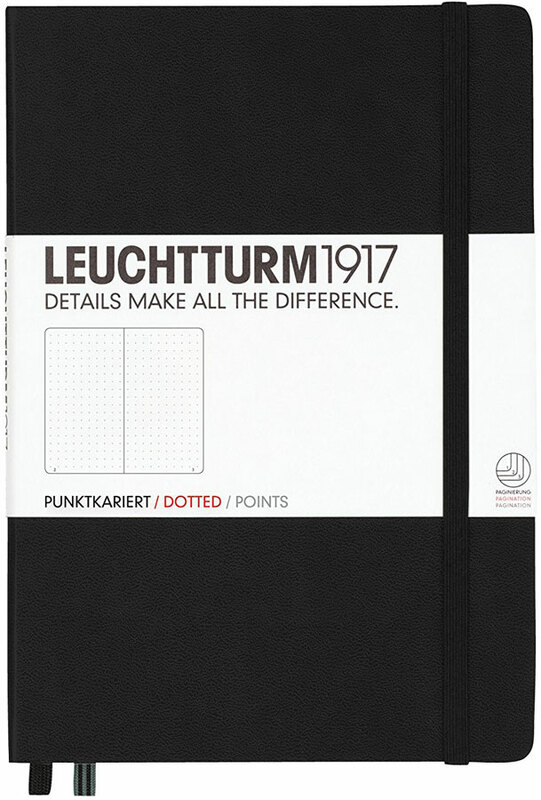 The light gray dots are 5mm apart on cream colored paper that “resists feathering, ghosting and bleeding.” This no frills, stitched and glued journal is a nice light weight choice for carrying in a tote bag or backpack. I must admit that the color made me buy the 128 page Stonit Journal! Although it’s available in several colors, this beautiful light teal, hard cover beauty insisted that I had to have it. It almost glows! 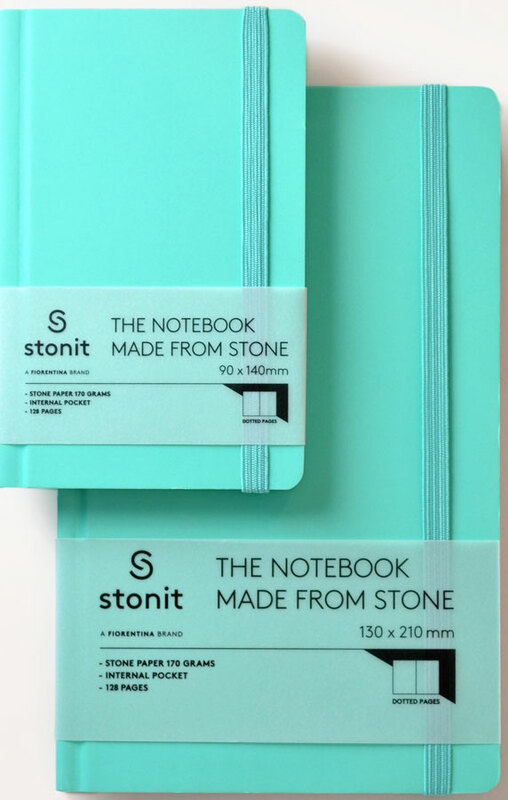 The Stonit Journal is stitched and 100% tree free because it’s produced from “limestone and ecological resins” and contains no chlorine or acids. This is the first time I’ve touched paper made from stone and I'm surprised at its weight. You'll have to get one to see what I mean. 😉 The paper has a unique feel that might require a little patience as it’s waterproof and tear resistant. Ink and watercolor can’t penetrate the paper, but given time, it does dry. I haven’t used this journal enough to say exactly how I feel about it yet, but it is gorgeous!! 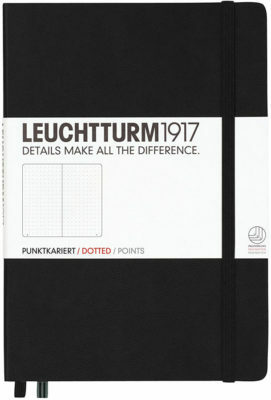 The third dot grid journal is from Leuchtturm1917. (I believe the name is pronounced Loysh Toom.) I’d have to say that this journal is in a class of its own. 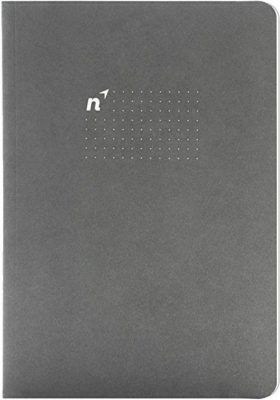 It contains 249 numbered dot grid pages and a Table of Contents. The paper is “ink proof and acid free.” This yummy journal is stitch bound with a hard cover, has an expandable pocket inside the back cover which contains a sheet of labeling stickers to catalog your finished journal. An elastic band will hold the Leuchtturm closed and 2 ribbons act as bookmarks. What a beautiful journal! 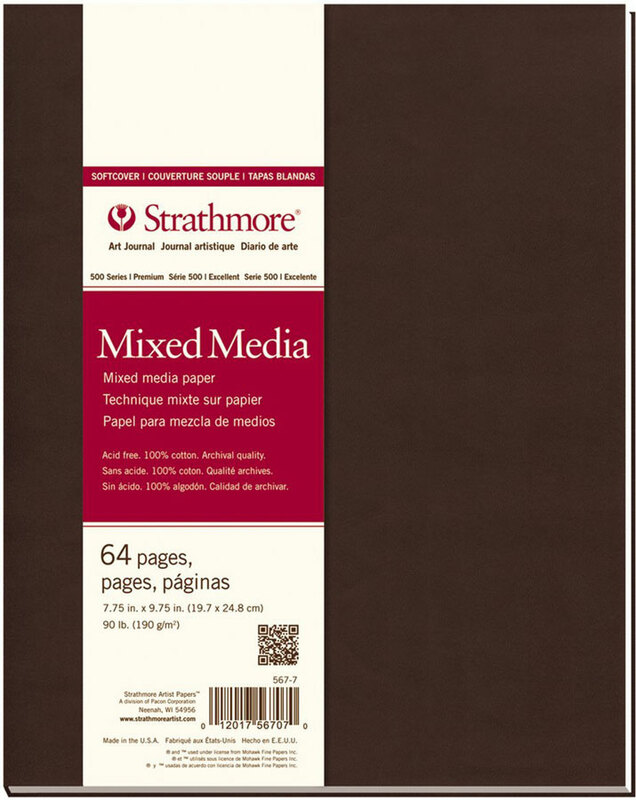 Another journal in the “Use Me!” stack is a Strathmore Mixed Media 500 series stitched soft cover book. The suede-like cover is easy to scratch and mar which was a bit disappointing. The 64 vellum-finished pages are 90 lb. all cotton fiber, acid and lignin free, and sized for wet media. 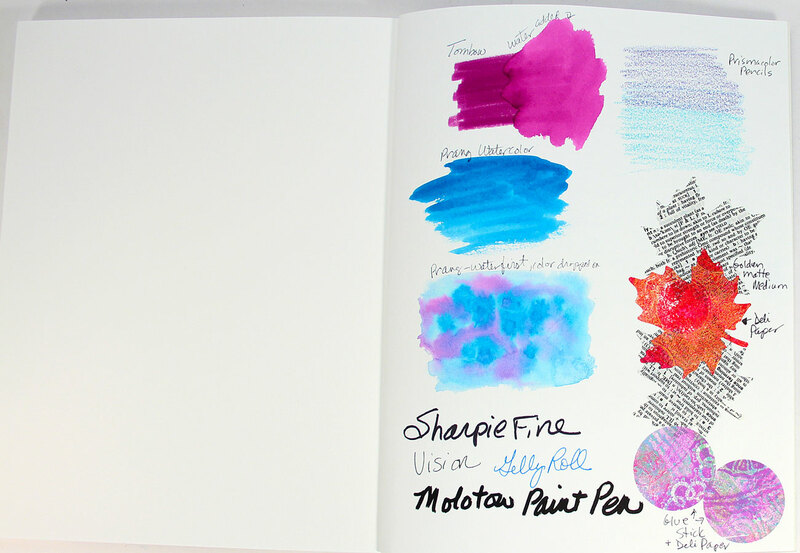 This journal is good for watercolors, gouache, acrylics, graphite, pen and ink, colored pencils, pastels and collage. The paper surface has a slight texture so I wouldn’t recommend this journal for writing, but rather for it’s intended purpose – Art. 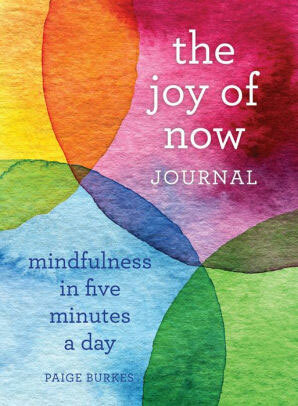 And last, but definitely not least, The Joy of Now Journal – Mindfulness in 5 Minutes a Day by Paige Burkes is a beautiful guided journal! Between the soft covers it’s filled with many delightful watercolor images and poignant quotes, making it totally worth the investment. 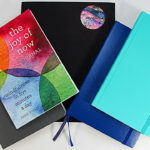 The insightful questions and writing space will help you appreciate the moment and live in the now. 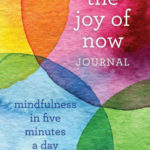 This journal is perfect for someone who gets stuck thinking about the past or is overwhelmed worrying about the future. In other words, it's perfect for me!! 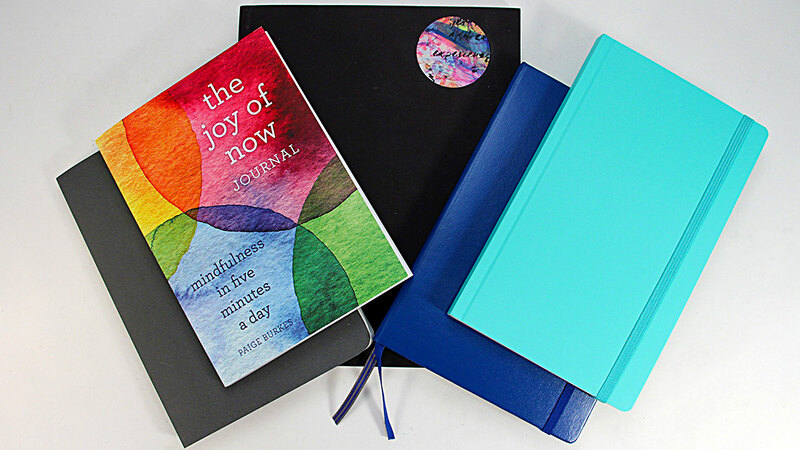 Be sure to check out each of these wonderful journals! I'm sure you need a stack of them, too! 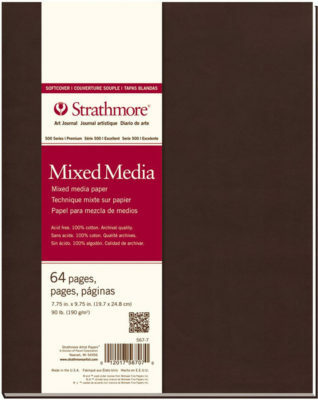 Strathmore Mixed Media Art Journal – 7.75 in. x 9.75 in. Hey – the next Drama-free Friday is happening April 6, 2018 when Seth Apter will be joining me for a Creative Chat. We have loads of things to share with you, so set a reminder so you won't miss it! PS – If you want to hang out with me in my studio and watch over my shoulder, I’m starting a brand new Art Journaling series. You’ll find it in the Member area in the Art Journaling category. Check it out!